Do you have the desire to work in a career that will allow you to do what you can to protect our society from terrorists? Do you truly feel that you have something to contribute to this career field? If so, then find out everything you can about this career path by reading below. Of course, as with any bachelor's degree program you must first complete the course work necessary to obtain your high school diploma. Once you have selected a post-secondary institution to attend, you will likely need to submit a copy of your high school transcript, a copy of your ACT scores, and a few letters of recommendation that demonstrate your quality of character. 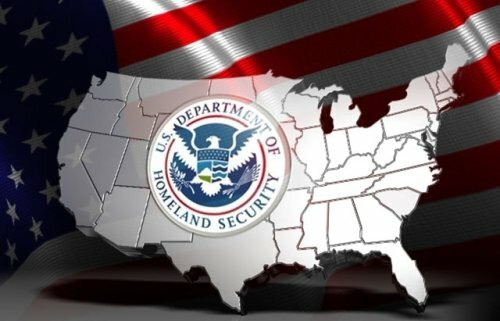 Once you have gained admittance into a bachelor's degree program that focuses on homeland security, you will be learning the concepts and techniques that can be utilized to protect our nation and its citizens from radicals and terrorists. Although specific curriculum may vary depending on the learning institution, generally, students must complete courses related to chemical warfare, emergency management, and homeland defense. Most schools offer this degree program with a tiered approach; the instructional approach includes concepts such as emergency care, criminal justice, business management, and social policy. This multi-faceted instructional approach teaches students to prepare a community for a possible disaster, to implement strategies related to prevention, and to create effective emergency procedures. Students will also be responsible for learning about regulations and laws that dictate how a homeland security agency should be operated. While this degree program includes several areas of necessary focus for students, there is also the possibility of choosing electives that will concentrate studies in a particular avenue, such as management of hazardous materials. Examples of pertinent courses that this degree program requires are: emergency preparedness, terrorism, legal rights and security, disaster management, emergency planning, homeland security administration, response and recovery tactics, and politics and security policies. Keep in mind, this is a fairly new area of educational focus, so not all traditional four year colleges and universities will offer this degree program. As with practically any career field, should you decide to further your level of education a much broader base of professions will come available to you. By obtaining your bachelor's degree in homeland security management you will be adequately prepared for a career with your local government safety response agency or with a national governmental safety response agency. Agencies such as FEMA and the National Guard are considered to be national safety agencies. Similarly, if you want to pursue your bachelor's degree in criminal justice, you will still have many employment opportunities available that are related to homeland security and terrorism. You could also seek employment as an occupational health specialist, a border patrol agent, a secret service agent, an immigration inspector, or an emergency management specialist. Generally speaking, in addition to being employed by a local or national government agency, individuals with a bachelor's degree in homeland security and terrorism can also find employment through private security corporations, international businesses, community safety organizations, or through non profit sectors. After interviewing Peter Sanchez we learned a lot about the role he has as a homeland security and TSA manager. Mr. Sanchez has spent the last 20 years in airport security and would like to share his views on the current state of the industry. Question: Thank you for taking time with me on the phone today. Can you give us some background on yourself. I first started my job in airport security in 1995. I graduated the year earlier with my Bachelor’s Degree in Homeland Security to be a border patrol agent. I mainly worked at terminal security that is until 9/11 when things changed dramatically. Before that we would get the occasional person trying to smuggle things on a plane but the last thing on our mind was what happened on 9/11. Within a month after that I took a position in TSA as a manager and have been doing it ever since. Question: What type of individual would be good in a homeland security position? Without a doubt someone with military background would be a great fit. I can only speak for airport security but other homeland security jobs that require you to handle weapons would be perfect with someone with a military background. At the airport the ability to read people is extremely important and the military is great at doing that. The training they receive also helps to be able to follow orders and stick to a very strict schedule. Question: Is having a degree important these days when applying for a job? Without a doubt. I know for a fact I wouldn’t have got my job unless I had my degree. My one piece of advice to anyone is to stay in school and get much education as possible. If you are looking for a management job then an MBA is preferred, especially these days as competition is getting harder to find and keep good jobs. Over 168,000 people are employed by the US Government for homeland security related jobs, that makes up 9% of the entire federal workforce. Salaries range from $77,547 for border patrol agents to over $113,131 for federal special agents. TSA agents make approx. $30,000.